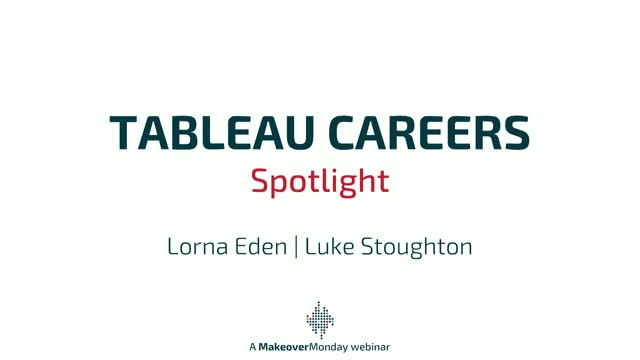 What could your Tableau career look like? What do people do in their data jobs on a daily basis and how did they get there? Hear from Lorna Eden, Senior Data Visualization Officer at JISC, and Luke Stoughton, Consultant at The Information Lab how they found jobs they love, working with great technology and great people.